Left: Dictocaryum sp., Ecuador, South America. 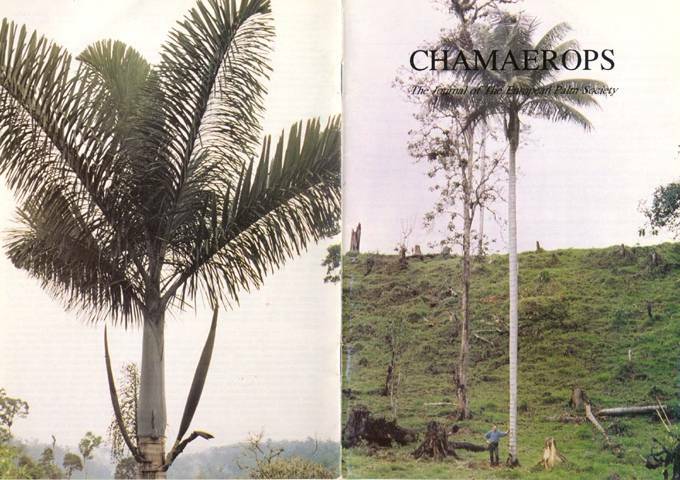 Right: Ceroxylon sp. dwarfs the figure at its base. Ecuador. Fairchild Garden - Paradise Lost? Does provenance play a part in the hardiness and growth habits of different plants of the same species? An interesting trial designed to find out is explained in this article. Join Dr. Mile for a guided tour around one of Europe 's less well-known Botanic Gardens. Enthusiast Ulrich Gramm of Germany explains a completely new approach to growing palms, entirely without soil.